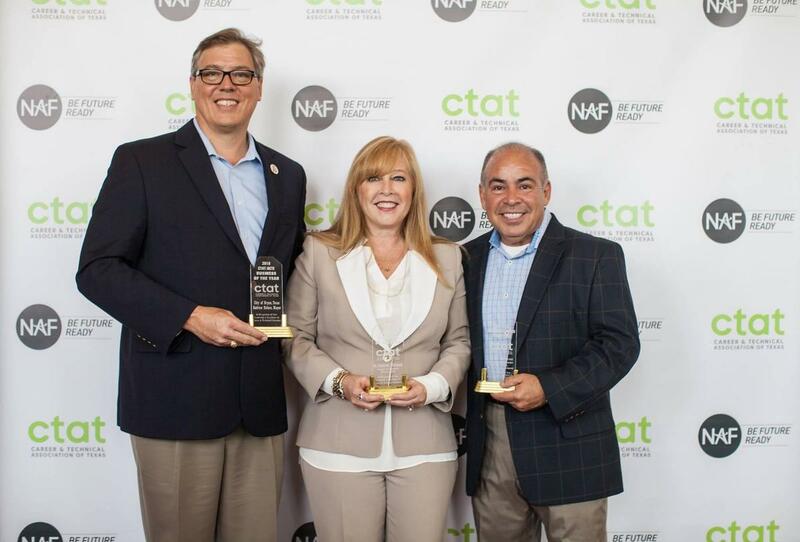 Bryan, TX – Bryan ISD administrators, as well as the City of Bryan leaders, received major awards at the annual Career and Technical Association of Texas (CTAT) summer conference. CTAT is the state-level organization that represents administrative and guidance professionals who work directly with Career and Technical Education (CTE) teachers and students. 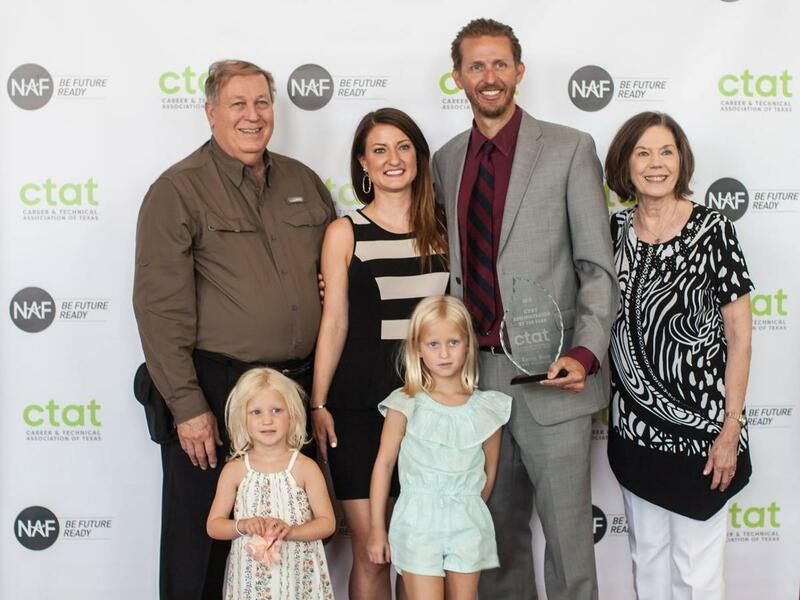 Dr. Christie Whitbeck, Bryan ISD Superintendent, was awarded the CTAT Champion of the Year. The Champion of the Year recognizes individuals who contribute to the improvement, promotion, development and progress of CTE goals. Dr. Whitbeck won the award for collaborating with city and county leaders to seek out and purchase land – and eventually an existing facility – to expand Bryan ISD’s CTE program to meet students’ needs. Whitbeck worked with the Board of Trustees to approve the purchase, which is a financially sound investment for students’ futures. The Center will open for the 2019-2020 school year. Whitbeck has a proven passion and focus for CTE programs as she led efforts to build facilities or expand CTE opportunities for students in her previous school districts. Kevin Ross, CTE Coordinator, was named the CTAT CTE Administrator of the Year, which recognizes administrative CTE professionals at the state level who have demonstrated leadership in ensuring teacher and student success. Ross is being awarded for making significant contributions toward innovative, unique and effective CTE programs. Two Bryan ISD partners also won awards at the conference. City of Bryan Mayor Andrew Nelson, along with the Bryan City Council, were recognized as the CTAT Business of the Year. When the need for a new Bryan ISD CTE center arose, the City of Bryan stepped up with the perfect solution in the form of a former manufacturing facility. The site offered facilities that included classrooms, as well as a large manufacturing space that could be easily adaptable to the programs in need. Business owner and community leader Bobby Gutierrez was recognized as the CTAT Business Leader of the Year. As part of the CTE Advisory Committee, Gutierrez immediately began searching for viable CTE center alternatives and was instrumental in the purchase of the new site. The new Center offers expansion opportunities that will allow Bryan ISD to serve surrounding communities that do not have the means to offer or support certain CTE programs.